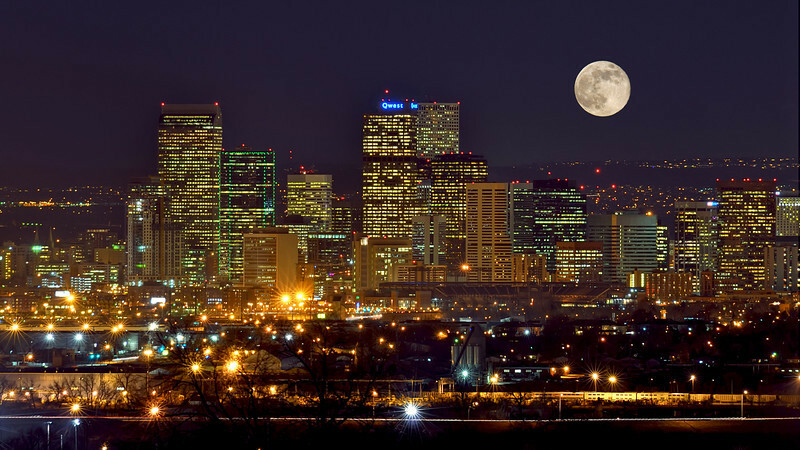 The city of Denver is gifted with a skyline that is particularly impressive for a city of it's size. Emporis ( http://www.emporis.com/en/bu/sk/st/ma/ct/co/ci/?id=100185 ) ranks our skyline as the 15th in the nation, not bad for the Queen City of the Plains. Image notes: This is a composite image, i.e. the moon was added. The image was made from a 7 exposure HDR blended down into a non-HDR middle exposure.